The Bulk Sales Act was enacted in 2007, expanding upon the prior bulk sales law previously codified in 1995. This law requires the parties in a transaction to notify the New Jersey Division of Taxation regarding certain transfers of property so that the Division can determine if there are any outstanding tax liabilities which can be obtained as part of the sale of the property. The bulk sales notice requirements generally apply to real property (land and/or buildings) which is owned by a business or which are income-producing. 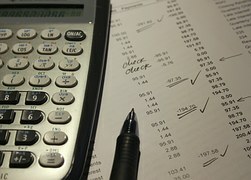 For example, the following types of transactions are subject to Bulk Sales requirements: the sale of real estate used in any trade or business, full-time rental property, real estate owned by a business, transactions where a deed in lieu of foreclosure is being provided (where a lender is taking back income-producing, mortgaged property from a delinquent borrower), auction sales, and business assets such as patents, copyrights, equipment, leases, merchandise, or other inventory not being transferred in the normal course of business. Generally, all transactions transferring business assets (other than in the regular course of business) are included. A typical residential real estate transfer is not subject to Bulk Sales requirements. When there is a Bulk Sales transfer, the buyer must advise the Division of Taxation of the scheduled transfer at least 10 days prior to the scheduled closing date with the submission of a C-9600 form. The buyer completes this form because the buyer bears the risk of liability – meaning that if there are outstanding tax liabilities owed by the seller of the property, and no notice is provided to the Division regarding the sale, the buyer may become responsible for the amount owed. As a result the Division of Taxation may institute a judgment or levy against the buyer’s property or seize the buyer’s assets. The seller then needs to provide the Division with a “Form TTD” which provides the State of New Jersey with information on the estimated amount that the seller expects to receive as part of the sale as well as other business and/or financial information. The Division will then advise within 10 days of receipt of notice whether there are any outstanding amounts owed that need to be held from distribution to the seller at the closing. No escrow funds can be distributed to the seller until the Division of Taxation issues a tax clearance letter authorizing the release of funds. (When an alcoholic beverage retail license is being transferred, the buyer’s attorney must sign a notice of escrow and return it to the Division in order to obtain a Clearance Certificate for Transfer.) The clearance letter advises the buyer that it has been released from liability. If the outstanding tax liability exceeds the purchase price of the property – or otherwise exceeds the amount expected to be paid to the seller for the property, the buyer can choose to pay the additional escrow amount owed to the Division. If you are purchasing or selling business real estate or other assets subject to the New Jersey Bulk Sales Act requirements, the attorneys at McLaughlin & Nardi, LLC can assist with the appropriate compliance and notification requirements to protect your assets. Our office may be reached at 973-890-0004.